A close quarters weapon forged in fire by the Lords of the Iron Banner. Felwinter’s Lie is a Legendary special shotgun. 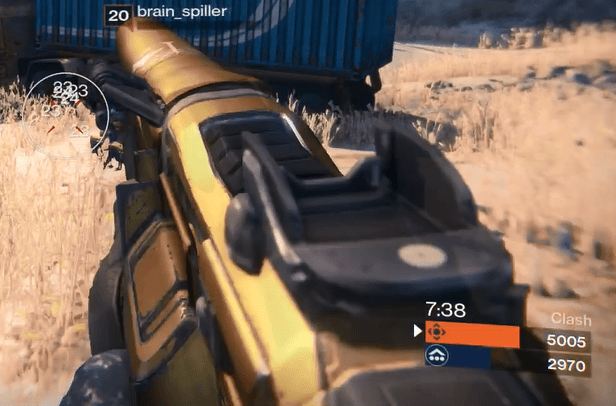 This weapon is purchasable from Lord Saladin and can also be reforged. The good: Highest Impact & range. The bad: Slow reload speed, lowest rate of fire. Conclusion: It’s everything you want in a shotgun. Felwinter’s Lie is a Legendary special shotgun which can be purchased from Lord Saladin during the Iron Banner. The default perks are listed above, click here to see all of its potential perks. Be sure to check out our other Legendary weapon reviews as well. Cascade kicks in after performing melee kills, reducing reload speed dramatically. It’ll be easier to take advantage of in PvE. Even though this shotgun already has the highest base range, increasing it even further will only help. Equally useful in their own way, both of these perks will help you hit your target more accurately. 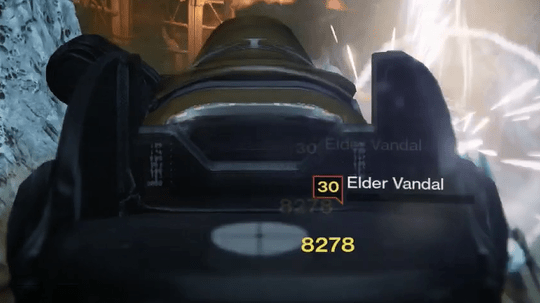 Rangefinder boosts your weapon’s performance at a distance while in ADS. Shot Package is a high-risk, high-reward perk that tightens your pellet spread, giving you a better chance of landing all of Felwinter’s Lie‘s potential damage. Like most other weapons bearing the Sigil of the Iron Lords, Felwinter’s Lie has extremes: It sacrifices rate of fire and stability for high Impact and range. It boasts the highest base Impact, just ahead of The 4th Horseman and Two To The Morgue. You can use Felwinter’s Lie to instantly kill another Guardian in the Crucible from much further away than most shotguns, even without any perks that help increase the range, since its got the highest base range of any shotgun. Naturally, this means that in PvE, it is an excellent weapon to stop charging enemies like Minotaurs (especially since the 200% damage buff). It also comes with elemental damage so it’s excellent against enemies with the corresponding shield. The high range that this shotgun has allows for some flexibility in perk choices once the shotgun is Reforged as well. There’s little not to like about this shotgun, unless you happen to get a poor roll, it’s basically the best Legendary shotgun in Destiny. As it can be expected, the high Impact and range comes at a cost. With a rate of fire that takes more than 1 second between each shot, there is very little room for error once you shoot. Be sure you kill your enemy with the first shot, and if you don’t, be ready for the consequences. Furthermore, the stability is so low that the recoil shifts the sights up dramatically. As a result, while shotguns generally aren’t terrible choices for engaging multiple targets (relative to the other options available), Felwinter’s Lie is the exception. It performs extremely well against single enemies for the most part, proving to be overkill and possibly even a liability against things like Dregs or Thrall. Thankfully because the rate of fire is so low, the poor stability is totally manageable since you’ve got plenty of time to readjust the weapon before your next shot. Where this weapon really suffers is reload speed, taking 6.7 seconds to fully reload once its 6 rounds have been emptied. It’s recommend to Reforge for Cascade, enabling a lightning fast 2.95 second reload, but Cascade won’t benefit you as much in PvP as it will in PvE since it requires a melee kill. Felwinter’s Lie is the very embodiment of what a shotgun should be: It lays down an immediate spike of damage to things that are close by, boasting the highest possible Impact and range. However, it is a very unforgiving weapon that takes some getting used to; miss or dive into hordes of people trying to kill you, and you will be at the mercy of the enemy. That being said, with the right perks, it’s basically the best shotgun available, just keep in mind that it’s slow and clunky. If you’re looking for an alternative, check out Judgment VI, it also has very high range and Impact. For PvP this weapon earns a 9.3/10 and for PvE a 9.2/10.